The Eel Mouse is a breed of mouse found in the Sunken City. It is known to drop Barnacles and Sand Dollars as loot. Slippery and slimy! Loves to burrow down into the mud and sand in the deeper areas of the ocean. Accustomed to the deep, they have developed a phosphorus glow produced by running a self-generated electric current through there glass-like fins. The Eel Mouse has no specific preference for any kind of cheese. The Eel Mouse is susceptible only to Hydro weapons. It can be found in the Deep Oxygen Stream, Haunted Shipwreck, and Murky Depths zones while on a Dive in the Sunken City. The Eel Mouse drops the Barnacle Egg, the Deep, Deep, Deep Egg, the Bubbling Egg, the Oxygen Egg, and the Salty Sea Egg during the annual Spring Egg Hunt. 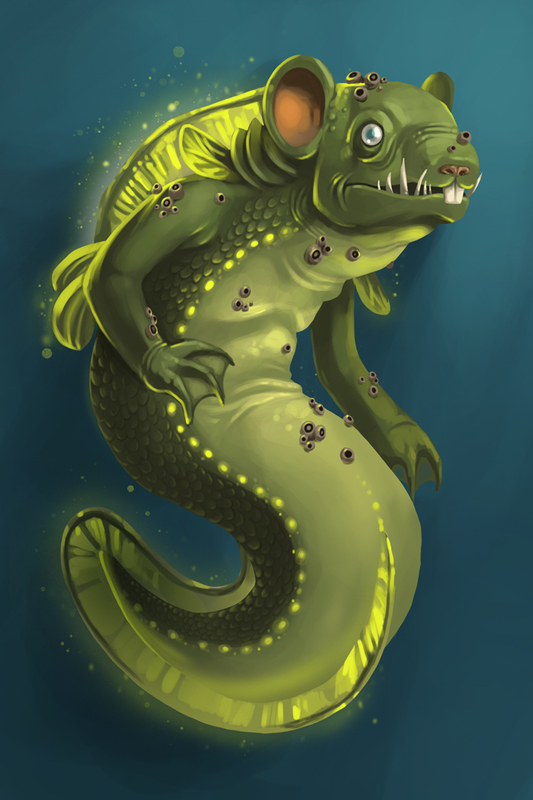 The Eel Mouse was released 2 July 2014 as part of the Sunken City content.